Our Corporate Social Investment Programme is co-ordinated under the banner “Caring for our Community“. 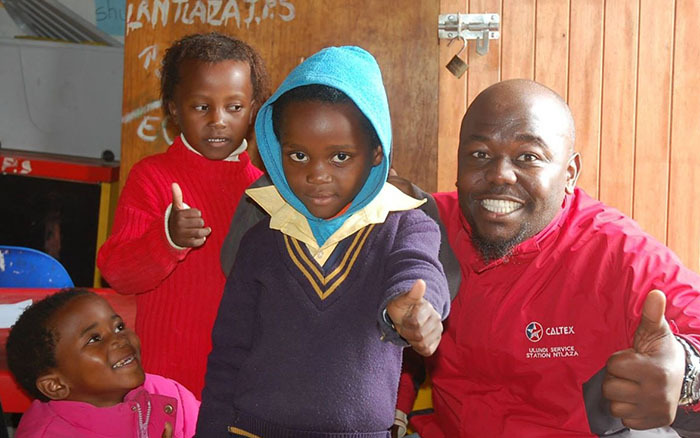 Caltex Eastern Cape is deeply rooted in the Eastern Cape and highly committed to the communities it works in and serves. We believe in developing future leaders and building a strong and principled youth for the future of our province. We do this primarily through supporting initiatives involving sport and education. Our many Caltex site owners are also very involved in their more immediate communities and we support their efforts where we can.